"Often we hear that one person can change the world but dismiss it as a utopian idea. Pearce is doing just that." "If bridging divides has a heart, it's in Pearce." I was on an overnight bus ride across Africa after spending six months in Uganda with an international development organization. I had left Washington, DC to gain a fresh perspective on life, and I did. I was so looking forward to returning home but was deeply troubled by news that my beloved North Carolina had been gripped by the same rancor and vitriol that I’d left behind in Washington. Unable to sleep, I wrote It's Time to Listen. That message jumped over the ocean and was printed in dozens of major newspapers across the United States from the Miami Herald to the Oklahoman. Emboldened by the resonance of such a simple idea, we launched Listen First Project to encourage conversations that bridge divides. I'm deeply thankful for the 200+ partner organizations who have joined the #ListenFirst movement as well as the thousands who have signed the Listen First Pledge. Together, we will mend the frayed fabric of America by bridging divides one conversation at a time. Thanks for joining us! 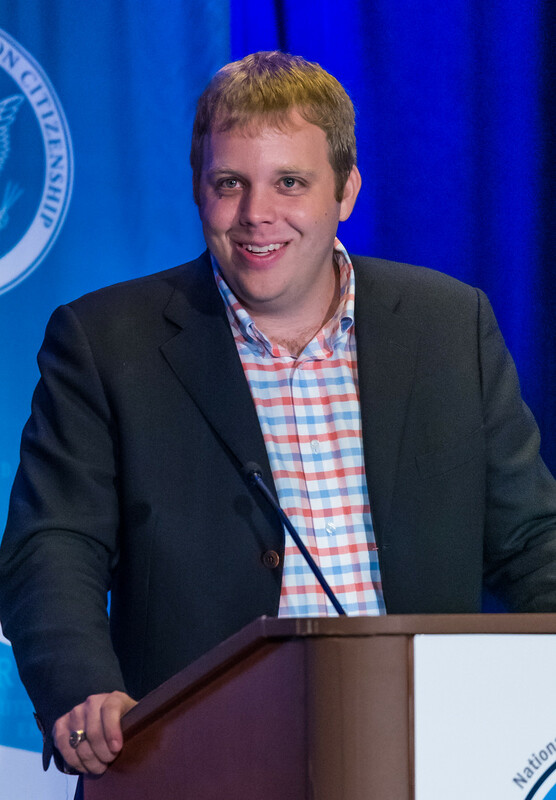 Pearce Godwin is Founder & CEO of Listen First Project, Executive Director of National Conversation Project, and leader of the #ListenFirst Coalition of 200+ partner organizations. He catalyzes the #ListenFirst movement to mend the frayed fabric of America by bridging divides one conversation at a time. Pearce graduated from Duke University and received an MBA from UNC-Chapel Hill. He spent five years working in Washington, DC—in the U.S. Senate and as a national political consultant for presidential and statewide campaigns. Before moving home to North Carolina in 2013, Pearce spent six months in Uganda, Africa where he wrote It’s Time to Listen. That message—printed in dozens of papers across the United States—launched Listen First Project and led thousands to sign the Listen First Pledge. In 2017, as division turned to violence across the country, Pearce left his marketing job, fully committing to turn the tide of rising rancor and deepening division with the Listen First message. In 2018, Pearce co-directed the first National Week of Conversation and hosted the kickoff event, Listen First in Charlottesville. Pearce then launched the overarching movement platform National Conversation Project, which continues to scale the #ListenFirst movement through annual National Weeks of Conversation, #ListenFirst Fridays and other collaborative programs. Pearce has spoken about the #ListenFirst mission and message on national television and to live audiences across the country. In a column shared by thousands, Pearce encourages a fractured nation that each person who sets aside interpersonal conflict for conversation and pledges to listen first tips the scales toward a new direction. Pearce discusses experiencing intolerance of listening at a campus protest and the alternative view of the First Amendment now precluding listening first at schools. Charlottesville: A story of terror or turnaround? Up to you.